Learn about mortgage refinance, read lender reviews and view our selection of the best mortgage refinance companies. NBKC is a national leader in mortgage refinance remains true to its roots as a lender that gives personal attention to its customers. Rocket Mortgage sets the standard for ease of application with instant income and asset verification. Its won 9 consecutive Customer Satisfaction awards from and 5 consecutive Mortgage Servicing awards from J.D. Power. Bank of America offers a range of refinancing options including FHA, VA, and cash-out refinancing, along with fixed- and adjustable-rate loans. First Internet Bank publishes lets you easily compare rates on their homepage. Its “online only” model lets you complete the entire refinance process online without having to set foot in a bank. LendingTree works with a big network of trusted lenders to make sure you get a competitive rate on your loan. It offers new home loans, mortgage refinance loans, reverse mortgage loans and more. Most people live on a budget, so mortgage refinances are common because a refinance may save hundreds of dollars a month in mortgage payments or related expenses, especially if you know how to maximize your refinance savings. Saving money isn’t the only reason to refinance, either. 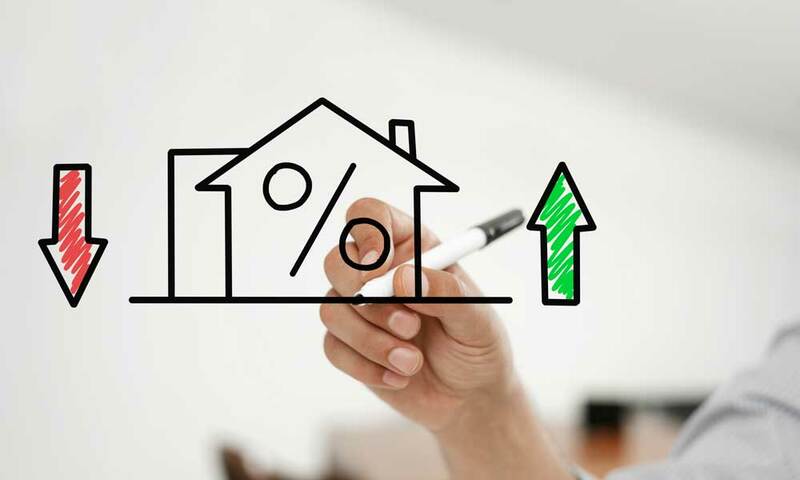 Borrowers may refinance to take advantage of lower interest rates, to extend or shorten the payoff date, for a reduction in (or the elimination of) mortgage insurance (called PMI), to refinance equity and receive cash, or for a combination of factors. The decision to refinance your home mortgage is highly personal and depends on your income, amount of home equity and how long you plan to stay in your home. Over the course of your loan, making the right decision could save you thousands or even tens of thousands of dollars. Not all consumers qualify for conventional mortgage refinancing. Fortunately, there are government and lender programs to help with eligibility based on factors such as the value of your retirement funds, veteran status, Native American status, or other special considerations. To find mortgage refinancing options that appeal to a majority of consumers, we researched large companies offering refinancing in most or all states – and selected the best three. 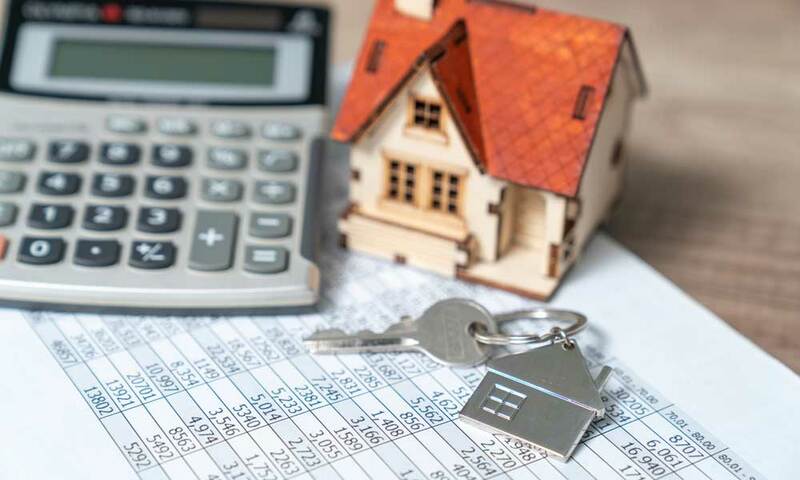 In this guide, we will explain how to determine what you need to get the funds from a refinance, compare costs and how to find the best lender for your financial situation. If you are considering a mortgage refinance but aren’t sure where to start, check out these four tips to help jumpstart your research. Before contacting a lender to refinance, consumers need to make some important decisions regarding how long they want to stay in the home. It’s also critical to look at lifestyle choices that affect finances. For example, is travel or modifying your home to accommodate physical needs like a wheelchair or stairlift in your future plans? If you don’t plan (or are unable) to stay in your home for at least five years, a refinance is likely a bad decision. Prospective mortgage refinance applicants must also determine how much equity they have in their homes. You can do this by subtracting how much you still owe on your mortgage from the appraised value (what it likely would sell for if you were to put it on the market). If you don’t have much equity in your home or still have a high mortgage balance, you won’t gain much from refinancing. As a rule of thumb, you shouldn’t refinance unless you have at least 20% or $10k (whichever is greater) in equity. You also need to determine how long you intend to make payments. Typical terms are 15-year or 30 years. If you’re 62 or older, it’s common to use a reverse mortgage to payoff an existing mortgage. Ask your lender about government programs such as Fannie Mae’s Home Affordable Refinance Program (HARP) or lender options designed to help retirees qualify for new or refinanced mortgages based on assets and monthly income. Lenders routinely collect the majority of the mortgage’s interest early in the loan’s payback period. In other words, the portion of your mortgage payment applied to the loan’s principal is much lower in the first few years, with most of your payment going to pay down interest. What that means to you is refinancing generally makes more sense earlier in a loan’s life, but not so soon after the original mortgage that you have no equity built up in the home. Whether it’s the right time for you to refinance depends on the amount of the downpayment on your house when you closed on the mortgage, how long you’ve been paying on the loan and home market values in your area. As you can imagine, a mortgage refinance involves costs, including closing costs, interest expenses and other fees. Although closing costs are usually lower than those of a new mortgage, they can total several thousand dollars. Interest rates and closing costs will are based on lenders and factors such as your credit score or home value. If a friend or neighbor recommends a lender because of the low rates, talk to that lender to get current rates based on the loan terms you need and other factors such as your credit rating. Regardless of the lender, it’s likely best to choose the security of a fixed-rate loan, not an adjustable-rate (ARM) loan which could cause your payments to increase in the future. Divide the total estimated closing costs by monthly savings on your mortgage payment if you refinance. If it takes longer to benefit from the refinance than you plan to stay in your home, it’s probably not the best choice. Use the online mortgage refinance calculator from Fannie Mae or online calculators available from mortgage lenders websites to help you decide if refinancing is a wise decision. Savvy mortgage shoppers compare interest rates and closing costs for any potential mortgage refinance. Ask friends and family members about lenders and scan online reviews. Once you narrow your choices to a shortlist, like our top three companies, do some research on your own. Read all the fine print and ask questions when speaking with your loan officer. Beware of complaints about predatory lending practices and don’t take everything the mortgage lender says at face value. In our experience, some customers feel most comfortable working to complete an application in person with a local banker. Others may be interested in working with lenders mostly or exclusively online. While both approaches are fine and should be competitive in terms of costs, online applications are becoming more common because of their convenience. With so many national and local lenders offering mortgage refinance options, it helps to know the common types of lenders available. Lenders vs. brokers: A mortgage lender is any company offering loans for purchase or refinance of a home. Mortgage brokers “shop” multiple mortgage lenders to help find the best rate and terms for the customer. These services are available locally, nationally and from online services such as Lending Tree. Mortgage bankers: Most mortgage lenders are mortgage bankers. Bankers usually borrow money from warehouse lenders to cover the mortgages they issue to customers, then later sell the mortgage to another lender or creditor to pay the warehouse mortgage lender off. Mortgage bankers primarily see a profit from origination and other lending fees paid when you sign for the loan. Credit unions: These financial institutions are a cooperative and are owned by their members. They often have lower interest rates than other mortgage lenders. If you’re not a member of a credit union, you can search membership requirements for local or national credit unions. After our evaluation, we chose the three best mortgage refinance companies: Rocket Mortgage by Quicken Loans, Bank of America and First Internet Bank. Each of these companies stood out over the competition. The National Bank of Kansas City, or NBKC, is headquartered in Kansas City, Missouri. While the company has become a national leader in mortgage refinance, it has remained true to its roots as a lender that gives personal attention to its customers. Like with other lenders, the company will analyze credit scores and the ratio of income to debt determine whether an applicant gets approved. Unlike other lenders, the company often works with customers to help them understand what they are buying and how to make the sound decisions. In addition to keeping customer-first service a priority NBKC is competitive with any big bank for important mortgage refinance factor. NBKC’s interest rate, closing speed and low service fees make the company an ultra desirable choice for customers looking to refinance equity in their home. NBKC has an “A+” rating from the BBB, a 5-star rating on Bankrate, a 4.9 on Zillow and is highly reviewed by customers on internet sites like LendingTree. Quicken Loans is the nation’s largest mortgage provider, and Rocket Loans is their online mortgage brand. The company originated more loans in 2017 than any other lender, including major banks. For convenience, the company instantly verifies employment for more than half of applicants and accesses financial assets through an online application. Rocket Mortgage offers from eight-year to 30-year loans and posts current rates for common terms online. Calculators on the company’s website help applicants learn about the best refinance options. Rocket Mortgage applicants can speedily apply, and opt into a weekly email or text alerts to let them know when interest rates change. Their online tools use bank-level security to keep track of documents required to process the loan and the status of the application. Rocket Mortgage has no physical locations where applicants can talk to a mortgage loan officer with their paper documents in hand. Instead, the company offers the options of speaking to a representative or chatting online for help. Applicants have easy access to a home loan expert outside of typical banking hours and you choose the location and time of the closing. If you prefer to apply for a mortgage in person with a banker, you might want to move on to our next choice. Rocket Mortgage offers mortgage loans in all 50 states. Bank of America publishes its competitive rates and average payments on its website without the need to fill out long forms. To learn more, such as the effect of your credit rating on terms, a visitor to the site can access a custom rate. The company quotes rates only for its mortgage products, so applicants should compare stated rates to other lenders they are considering. Compared to Rocket Mortgage, Bank of America offers a wider range of refinancing options including FHA, VA, and cash-out refinancing, along with fixed- and adjustable-rate loans. This multinational bank is based in Charlotte, NC, and has about 700 branches with locations in all 50 states. Bank of America is consistently in the top five for number of loans originated each year. Borrowers can choose to use online and mobile portals for mortgage applications or speak with a loan officer. Schedule appointments for face-to-face meetings at a local branch by telephone or online. Applicants can also walk into a branch office to seek information on mortgage refinancing. The company offers online forms to prequalify the borrower for loans or the ability to call a toll-free number to talk to a mortgage representative. If you apply online and get approved, you will close at a local Bank of America office. Online options for prequalifying and document submission offer flexibility for people who want the convenience of online tools but also want the option to meet with loan officers. Bank of America is not known for its speed in closing, however, some former customers have complained about the closing process or lack of communication. First Internet Bank launched in 1999 as an online-only bank. The company openly publishes its current rates and starting the loan application process is easy to do. Since all banking is online, the website provides useful, straightforward information on mortgage loans, refinancing and how to apply. First Internet Mortgage offers the option to speak to a loan officer who can help you choose the best refinancing option before you apply, or you can immediately get your application started online. Screenshot: First Internet Bank process. First Internet Bank’s website says it has lower overhead costs because it has no physical branches and it passes the savings on to its customers. However, applicants still should compare posted rates to other lenders. Although loan officers are not as familiar with your region’s housing and economic environment as your local banker might be, the company has customers in all 50 states. Despite its online-only presence, First Internet offers a toll-free number for mortgage applicants, along with online links to mortgage refinance representatives. At closing, applicants sign paperwork at a locally arranged location at a convenient time. Customer reviews stress the company’s professionalism, courtesy and communication during the mortgage process. The company says it can close most refinance loans in 40 days or less. Readers of this Mortgage Refinance guide content also read these related articles. Is a No-Closing-Cost Refinance Right for You? The title makes it fairly self-explanatory but you might not know the details of a No-closing Cost Refinance. Since this type of refinance is an option, it’s important to know if a No-closing Cost Refinance is right for you. Getting a low interest rate is, in some instances, the entire point of refinancing your current mortgage. You can shop around different lenders and compare interests rates but there are steps you can take to make sure you get the best interest rate possible. What’s the purpose of refinancing? Homeowners refinance for a variety of reasons. Some refinance to get a lower interest rate and reduce their monthly payment. Others refinance to turn their Adjustable Rate Mortgage (ARM) to a fixed-rate mortgage. Another reason people choose to refinance is, depending on how much equity is in their home, they can do a cash-out refinance and borrow cash from their equity. Should I refinance for 30 years to keep my payment low? There isn’t an easy answer to when you should refinance your mortage. Generally speaking, you’re much better off choosing a 10- or 15-year mortgage for your refinance. Chances are you’ve been in your home and paying on the mortgage for several years. If you have home equity, refinancing what you owe (rather than the appraised value) will keep your mortgage principal low – and lower your payment. The shorter the loan period, the less you pay in interest expenses, even if the monthly payments might be higher. How do I avoid predatory lenders? Predatory lenders often take advantage of the elderly, especially those who need cash from their homes right away to pay a medical bill or make a substantial repair. They count on borrowers having less understanding of financial and legal terms and typically fail to disclose information or give false and misleading information to potential borrowers. They might inflate the costs based on your credit rating or have fees that are much higher than the overall market. One sign of a predatory lender is offering to flip your current mortgage into one with a higher interest rate and fees. Beware of offers via the mail or telemarketing. Don’t believe over-the-top promises or allow the lender to rush you through disclosures and signing of paperwork. Never sign a document with blanks to be filled in later, and take a trusted friend or family member along to meetings and the closing who can observe and support the process without the emotional attachment to the home or funds from the refinance. The amount of equity you need depends on the lender and the type of loan you have. Most lenders require at least 20 percent equity for a conventional mortgage, although some banks require as little as five percent equity. If you want to refinance to an FHA loan, you’ll only need three percent equity. Do you have to refinance with your current lender? No. However, there are benefits to going through your current mortgage company. For example, they know your payment history and might reward your loyalty with great rates and waive some or all of your closing costs to keep you as a customer. Keep in mind, it is always smart to compare quotes from other lenders, including your current one. Bottom Line: Refinancing can save you money, and some companies make the process smooth and easy. Keep in mind interest rates vary slightly between lenders, emphasizing the need to compare closing costs and a lender’s reputation. If you’re concerned about the affordability of a refinance, ask about government programs such as HARP. Be open to new ways of banking or borrowing, such as electronic, long-distance applications or join a credit union for better rates and terms. The best three mortgage refinance companies we recommended stand out for different reasons. We came to our conclusions after reviewing market research, company information and expert analysis, resulting in recommendations designed to help you choose the ideal mortgage refinance company when you’re ready to take that step.